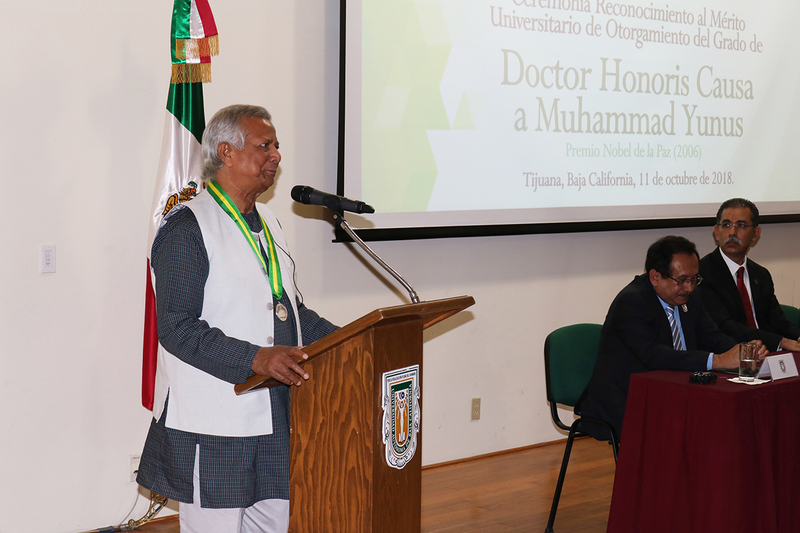 Autonomous University of Baja California presents the award "Dr. Honoris Causa" to Professor Mohammad Yunus. UABC-Yunus Centre holds its second Social Business Meeting in the city of Tecate, Baja California. 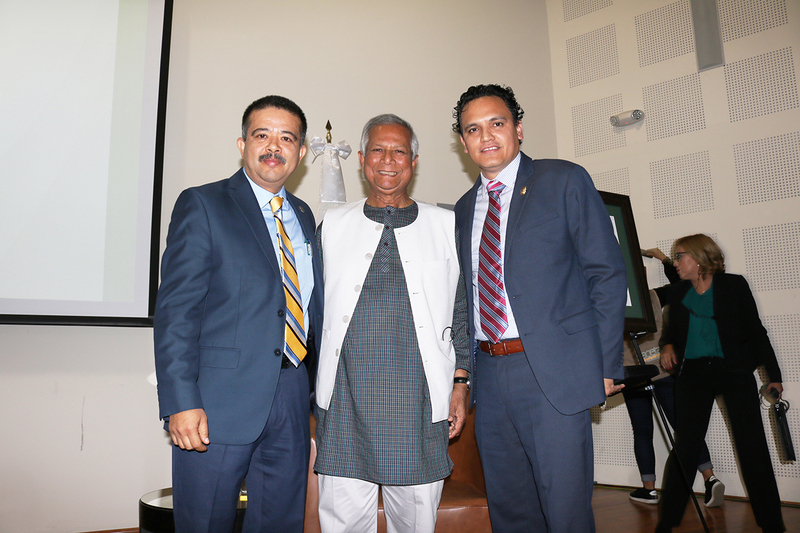 Autonomous University of Baja California presents the award quot;Dr. Honoris Causa quot; to Professor Mohammad Yunus. 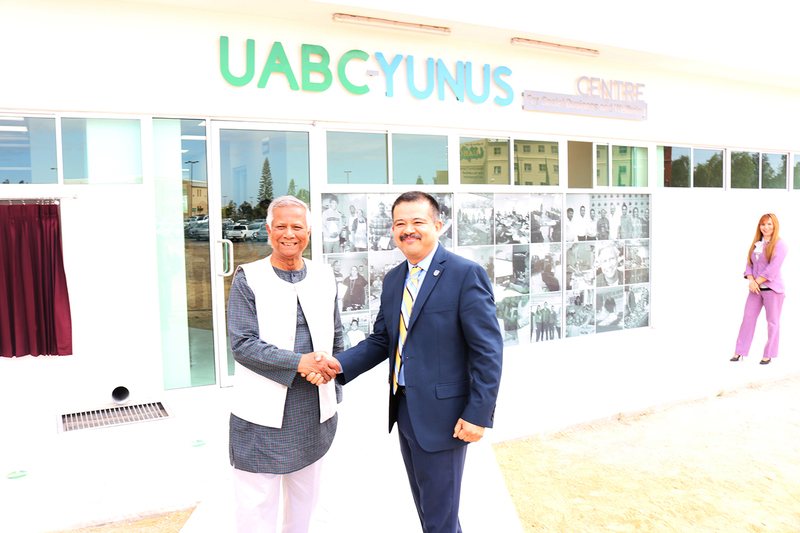 In UABC-Centro Yunus we promote the development of the region through the undertaking of new social projects aimed at solving specific problems of work, food, health, services and education. 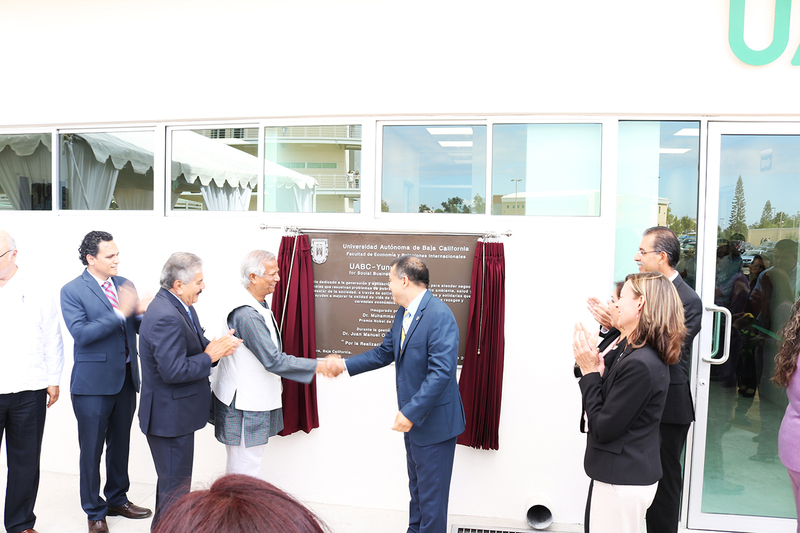 In order of appearance: Mr. Amir Khashru, Mr. José David Ledezma, Mr. Juan Manuel Ocegueda, Mr. Mohammad Yunus, Mr. Alejandro Mungaray, Mr. Natanael Ramirez, Ms. Lamiya Morshed and Mr. Martín Ramirez.